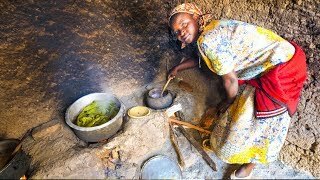 Home / Mark Wiens / Arab Kenyan Food - COCONUT GRILLED FISH + Tour with Chef Ali Mandhry in Mombasa, Kenya! One day during my trip to Mombasa, Kenya, I had a chance to hang out with Chef Ali Mandhry, a local from Mombasa, host of a variety of tv shows, writer, and an all around amazing guy to hang out with and eat with! We first stopped off at Mama mbaazi, a lady who sells Mombasa style pigeon peas in coconut milk to be eaten with mahamri. We saved it for later when we returned to the house, but it was excellent, and amazing combination. We then continued on to the main market in downtown Mombasa, a bustling fruits and vegetables market, full of friendly vendors, and all the ingredients you need to cook Kenyan Swahili food - which is a mix of Arabian, Indian, and local dishes. The main dish that we bought all the ingredients for was to cook a dish called samaki wa kupaka (grilled fish with coconut sauce). The fish was grilled first, then Chef Ali cooked a coconut milk sauce with garlic, curry powder and lime juice to baste onto the grilled fish. It was sensational. Azad Ice Cream Shop - First, before getting back to the house to start cooking, we stopped for a classic Mombasa faluda. The entire meal Chef Ali and Fiza cooked was incredible. I especially enjoyed the Swahili grilled fish and the rice pilau. Huge thank you to Chef Ali Mandhry for this amazing day of Swahili Kenyan food in Mombasa, Kenya! Again, check out Chef Ali’s channel (http://keclips.com/ke-use/chefalis...) and Instagram (https://www.instagram.com/chefalimand...). 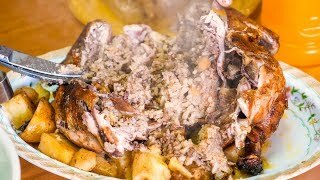 24:54Rwandan Food Tour - MERCEDES BENZ of MEAT in Kigali, Rwanda! 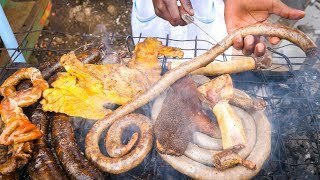 | African Food Tour! 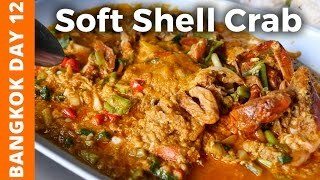 25:59Epic Soft Shell Crab Curry at One Of The Best Restaurants in Bangkok! - Bangkok Day 12 30:08Palestinian Food - ARABIC FEAST in Bethlehem + Jesus Birthplace in West Bank, Palestine! 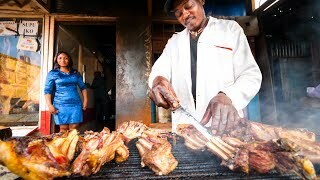 23:10Kenyan Street Food - HUGE GRILLED MEAT (Nyama Choma) Tour in Nairobi, Kenya | African Food! 22:40Eating With My DAD! 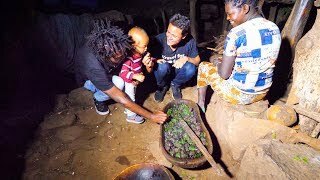 19:35Mansaf (منسف‎) - The Ultimate Jordanian Food 23:08Ethiopian Food in 500 YEAR OLD Konso Village in Ethiopia - AMAZING AFRICAN CULTURE! 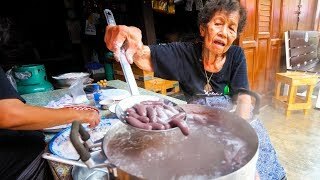 29:37Thai Street Food - GRANDMA'S CRAZY SNACK in Chanthaburi, Thailand! 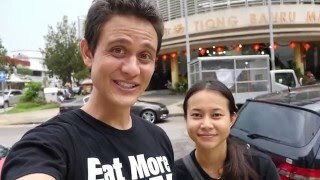 30:44Lao Street Food - GIANT STICKY RICE Feast and Stuffed Chili Fish in Vientiane, Laos! 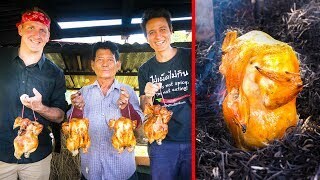 27:44Unique Grilled Chicken - DON'T TRY THIS AT HOME!! with Sonny Side! 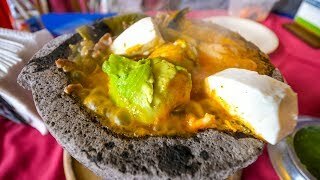 | ไก่อบฟาง 10:44LAVA SALSA AVOCADO - Molcajete Caliente Mexican Food at Los Sifones, Mexico City! 23:54LOBSTER BEACH BBQ! 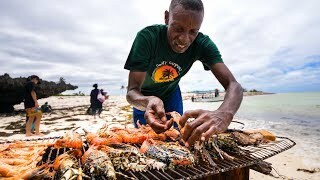 And Unique Kenyan Street Food in Malindi, Kenya! 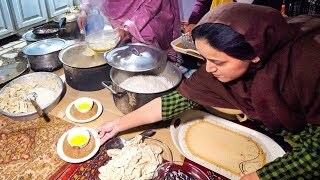 20:00Unique Food in Baltistan - 14 TRADITIONAL DISHES in Skardu | Pakistani Food in Gilgit-Baltistan! 8:44Singapore Meetup at Tiong Bahru Market 19:01Village Food in East Africa - FREE-RANGE KFC (Kenya FRIED CHICKEN) Kenyan Food in Machakos! 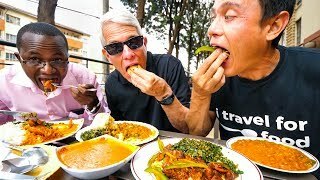 29:53Street Food in Kenya - ULTIMATE KENYAN FOOD TOUR in Nairobi | East African Food Tour! 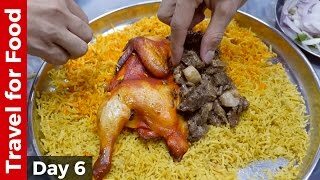 33:15Incredible Omani Food and Attractions in Muscat (Camel Feast)! 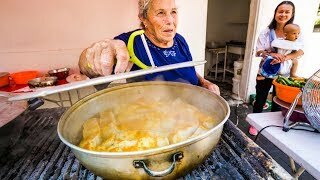 19:32Incredible Moroccan Food and Tunisian Fry Bread Sandwich - AMAZING FOOD in Ashdod! 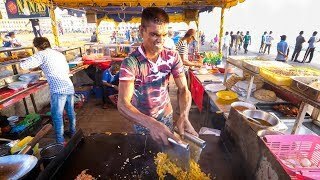 33:18Street Food in Sri Lanka - ULTIMATE FOOD TOUR - Egg Hoppers + Kottu Roti in Colombo, Sri Lanka! 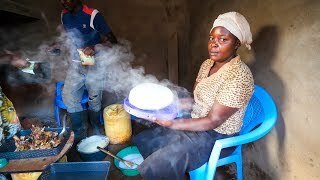 22:48Village Food in Central Africa - RWANDAN FOOD and AMAZING DANCING in Rural Rwanda, Africa!